We knew the carrier: Telfonica-owned O2. We knew the time frame: before Christmas. Now we have the actual date and pricing for the UK release of Palm’s Pre smartphone, the company’s comeback device. Set to go on sale on the 16th of October, the Pre will be “free” to customers signing up to a £34.26 per month, 24 month contract, or for those willing to move to the higher tariff of £44.05 or more on an 18 month contract. Otherwise the device will have an additional up front cost of £96.89. All of the tariffs feature varying inclusive minutes and texts, along with ‘unlimited’ data and WiFi hotspot access through The Cloud and BT Openzone. 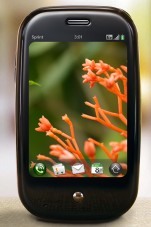 Yesterday the palm pre is released in germany. ROOT … We will look forward on news.